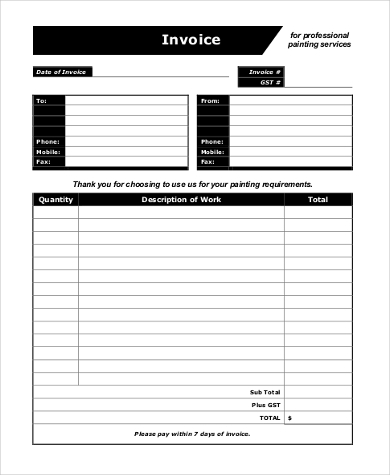 What do you think is the best place to have the sample invoice forms? If you are clueless, here is the way out. 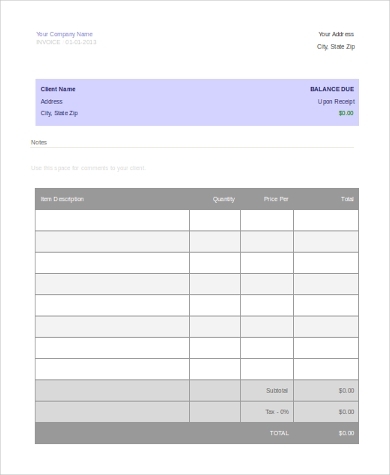 The sample invoice forms in the below sections, help you to create professional invoices quickly. It’s really quick and simple. 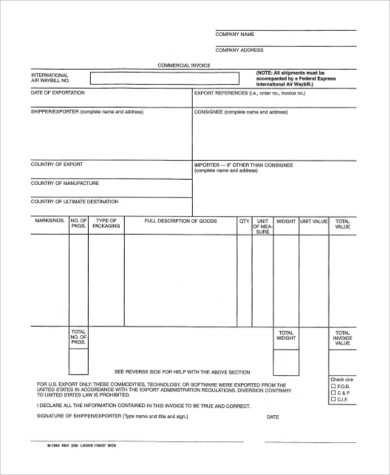 These documents are fully customized and can be adapted to your financial activities. All you need to do is simply replace your details here. 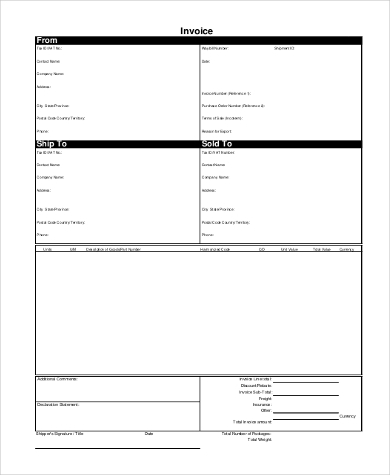 Whether you do billing a lot or minimal, these templates are more than enough. Now make your quotes as per your billing cycles without any interruption. 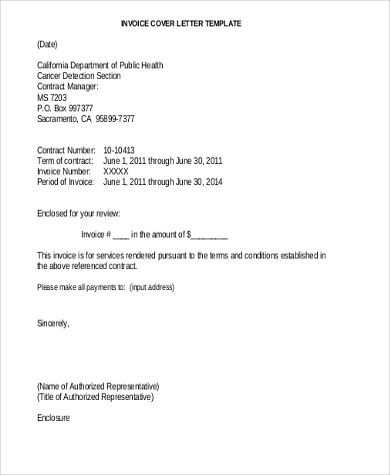 Instead of going for a billing software, you can happily use these examples. 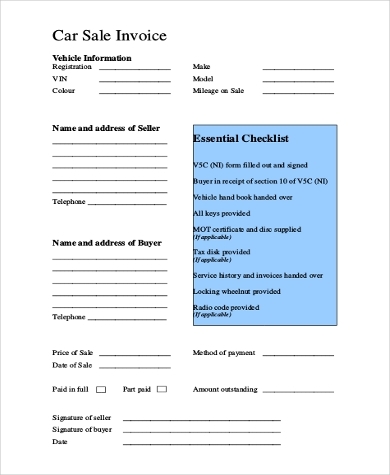 This sample contractor invoice form help you to keep a track of all your contractor invoice forms. Also they are highly editable. That means you can choose the period, money, and other details as well. These free of charge and professional looking models will surely appeal to your customers. You can reuse as you please it. This comes as a blessing to those budding companies that is growing with numbers. Because as you grow, you find it difficult and time consuming to invest time in making invoice forms and keeping them safely. The Commercial Invoice is commonly used in the transport of cargo and shipments among multiple countries. 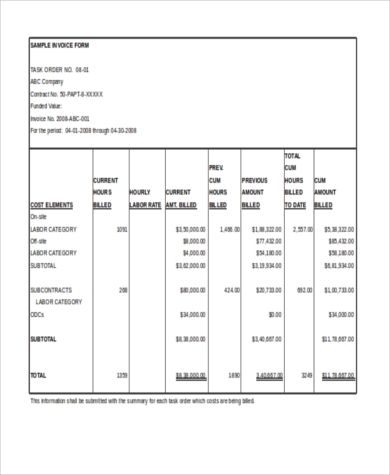 This document often indicate the details of both companies like telephone numbers, what’s being transported, the value and weight of products being transported, how they are transported, along with the names of companies involved. All in all, what is involved in the transportation. If that’s not enough, the fees and dues included, if any. 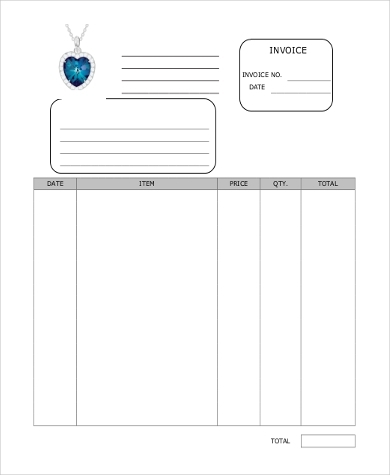 More than often, these commercial Invoice templates will be prepared on company letterheads. Because tax information is sometimes necessary for proper recording. 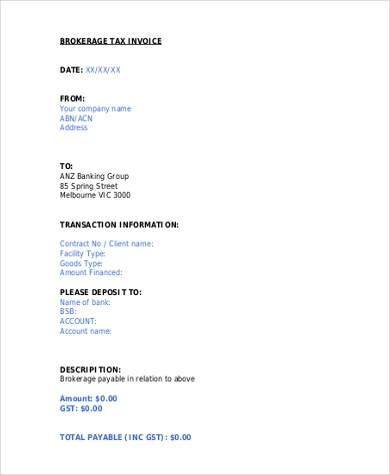 The sample blank invoice form templates are some encrypted examples that illustrates how to fill in the various empty fields. One major advantage of these templates is that they automatically calculates totals and subtotals. That way you can calculate VAT (Value Added Tax) as well. Now fill in all the required details such as company name, invoice number, payment deadline, and other payment terms and conditions. 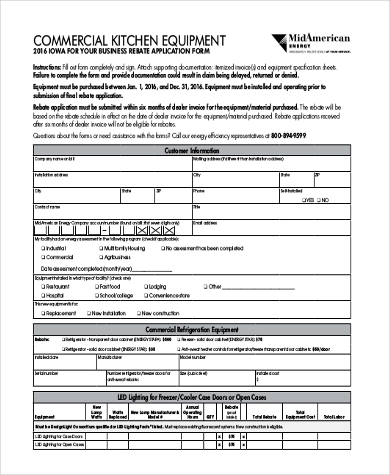 If you are having a travel agency, you can have now these invoice form to have a detailed sale of several airline tickets. Do it properly for fast and hassle-free transaction. You can even take this as a guidance.